Qupé Wine Cellars is located on the Bien Nacido Vineyard in Santa Maria, California. Qupé shares a production facility with Jim Clendenen from Au Bon Climat, and together they have a production and sales support staff. Jim Adelman is the General Manager and also shares winemaking duties. Once a year, during harvest, visiting winemakers and wine professionals with various backgrounds (many from different states and countries) in the wine business come to work with Bob and Jim at the winery to share techniques and ideas. Focusing on fruit grown in the Central Coast Appellation of California, Qupé produces Rhone varietals and Chardonnay. A majority of Qupé’s wines (about 50%) are made from grapes grown on the Bien Nacido Vineyard, where the Syrah and Chardonnay are planted and grown to Bob’s specifications. 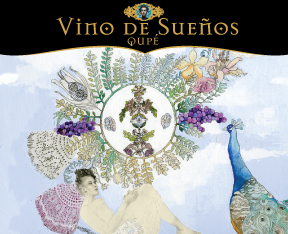 In addition to Bien Nacido, Qupé also farms (using organic practices) a 14 acre vineyard in Los Olivos called “Ibarra-Young Vineyard.” The balance of the Qupé wines are made from grapes grown at various vineyards in the Central Coast appellation of California. Bob and his wife Louisa have recently purchased an 80 acre vineyard site in the Edna Valley which they began planting in the spring of 2005. This vineyard will be developed and farmed under the rigorous principles of Biodynamic Farming.